The Wildlife Shorts Program consists of three shorts, Elk River, The Hundred Year Old Whale, and Fix and Release, which showcase how docs can be a catalyst for conservation and empathy for animals. Through elk, orca, and turtles we see the inescapable importance of animal protection. Shot amid the rugged beauty of Yellowstone’s high-alpine meadows, Elk River chronicles the majesty of Wyoming’s annual elk migration. 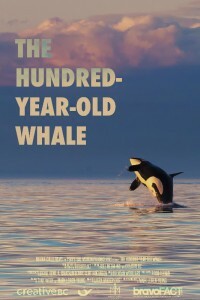 This beautifully shot BC film tracks the elusive Granny, the oldest Orca or “killer” whale in the world. In Peterborough, Ontario, the Kawartha Turtle Hospital brings its shell-dwelling patients back from the brink, aided by the reptiles’ remarkable powers of recovery. Jenny Nichols is a conservation filmmaker. She focuses on character driven stories that connect audiences to science and conservation. Her films have screened nationally and internationally at film festivals such as Banff Mountain Film Festival, Telluride Mountainfilm, Big Sky Documentary Film Festival, Jackson Hole Wildlife Film Festival, DC Environmental film festival, National Geographic Short Film Showcase and beyond. She values multidisciplinary collaborations. 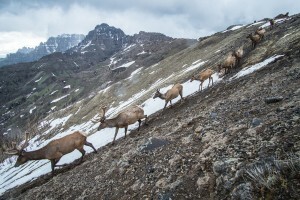 Joe Riis is a wildlife biologist turned wildlife photojournalist and cinematographer known for his pioneering documentation of animal migrations in the West. 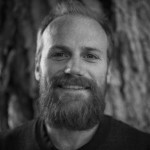 He is a National Geographic Magazine contributing photographer and Photography Fellow at the Wyoming Migration Initiative. Since 2009, he has worked on natural history photography assignments for National Geographic Magazine on five continents. His photographs have been exhibited widely, and are included in private and public collections worldwide. “Canada’s Go-To Guy for Dolphins, Whales and Trees” (The National Post) wrote, directed and produced the doc style feature film, The Green Chain, which was nominated for the WGC Award for best screenplay and received the El Prat de Llobregat Award at the 15th annual FICMA Environmental Film Festival in Barcelona. He received the EarthVision Award for excellence in environmental filmmaking from PBS in San Diego for writing, producing and starring in Greenpieces: The World’s First Eco-Comedy. His documentary credits include writing the premiere episode of Grand Illusions, a popular history TV series about the history of magic and The Life and Times of Brian Orser. He is the author of three books about environmental issues -- The Green Chain: Nothing is Ever Clear-Cut (a collection of interviews about the future of our forests) and This Crazy Time: Living Our Environmental Challenge written with/about controversial environmentalist, Tzeporah Berman and published by Knopf, and the recently published bestseller The Killer Whale Who Changed The World about the first killer whale ever captured and displayed in captivity, Moby Doll. Previously, Mark wrote/directed/produced a CBC Ideas radio documentary about Moby Doll which won a Jack Webster Award for “Best Radio Documentary” and a feature article about Moby Doll for The Walrus. He is currently working on a feature documentary version of The Killer Whale Who Changed The World. Scott Dobson is an award winning Producer/Director with over 25 years experience in documentary filmmaking. 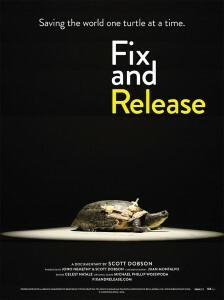 Scott co-produced and directed the short doc Fix And Release which is currently on the festival circuit. In 2016 he was story editor for Viceland’s documentary series Payday. He recently directed Puffin Patrol and Carpe Diem, for the Canadian Broadcasting Corporation’s The Nature of Things. In 2012 he directed Church Of Elvis; a 3-hour look the spiritual world of Elvis Presley, and its sister show, Elvis In Love. Prior, he produced the very successful spam: The Documentary for CBC Newsworld, which was broadcast around the world. As Producer/Director he created the award-winning Keep On Shucking documentary for Food TV Canada/US, produced many projects for the famed Second City in Toronto and Chicago; from TV spots, to documentaries to the critically acclaimed re-release of the beloved SCTV TV series onto DVD for the first time; a massive project taking 4 years to complete. 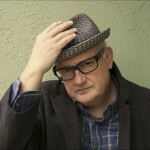 For Bravo Canada he produced 2 series exploring modern Canadian Jazz and Blues, the latter was nominated for the prestigious WC Handy Award by the Memphis Blues Society.